All 350 facilities in 239 cities will undergo this change over the next three years. The carmaker is also introducing iWorkshop, a fully integrated digital workshop management system, to its service centres. Dealerships will use a 75-inch LED screen for video-driven product explanation, accessory and color configurators. Honda has introduced a new initiative for its dealerships across the country. 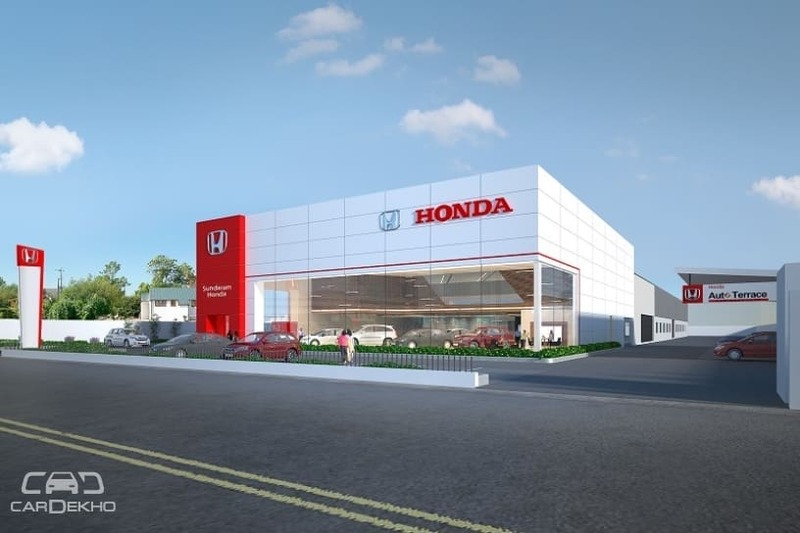 Under this, all 350 Honda dealerships will undergo cosmetic updates and get an updated exterior design, clutter-free interior and distinct areas for car displays and consumer interaction. The main highlight of this overhaul will be the introduction of a 75-inch LED screen for video-driven product explanation, accessory and color configurators. Along with this, Honda has also introduced a digital workshop management system for all its service centres, called the iWorkshop. Highlights of the new system are tablet-based check-in, estimate on emails, efficient bay management, re-estimate approval and online bill payment. Honda is not the first carmaker to take such a step. Carmakers like Maruti (with Maruti Suzuki Arena), Mahindra (with World Of SUVs) and Tata (no separate name) have also taken such initiatives in order to enhance the customer experience. To know about Honda’s new initiative, check out the official press release below. New Delhi, 4 February 2019: Honda Cars India Ltd., leading manufacturer of premium cars in India, today announced that all its existing showroom and service centers will adopt a new corporate identity as part of its network modernisation initiative. The new identity accentuates the aesthetics and overall appeal in form of distinctive exteriors, warm & welcoming interiors and a new customer interface, offering an enriched and unmatched buying experience. The entire sales and distribution network with 350 facilities in 239 cities spread across the country will adopt the new identity progressively within the next three years. HCIL is also implementing ‘iWorkshop’ – a fully integrated digital workshop management system that combines the key workshop processes into a simple and intuitive solution using the latest technologies. Talking about the all new corporate identity, Rajesh Goel, Senior Vice President & Director, Marketing & Sales, Honda Cars India Ltd. said, “The modernization of our dealer network is part of our effort to provide the highest level of premium retail experience to our customers. Customer experience at our dealerships has a lasting impact on their perception towards our brand. All the elements of the new identity have been designed keeping in mind the needs and requirement of modern day customers.” “We are confident that the new experience at our dealerships will amplify the ‘Joy of Buying’ for all our customers and ‘Joy of Selling’ for our dealership staff, which is at the core of Honda’s philosophy and brand,” he further added.